Norman Holland is known for bringing a thoughtful psychoanalytic perspective to understandings of literature, and he was among the first to treat reader-response by making psychological studies of reading. His 1975 book Five readers reading is an important landmark in the reader-response movement. He runs the PsyArt Foundation (which you can reach by clicking here). Holland's approach In his engaging and wide-ranging new book Literature and the brain, continues his work in literary analysis over the last 40 years. He summarizes it like this. When we read, then, two systems are at work. The form of the literary work provides the first. It establishes what we are likely to pay attention to and what we will perceive when we do pay attention. The second comes from within us, our own defenses. We perceive the work in such a way as to use our own defenses to guarantee our pleasure (p. 159). 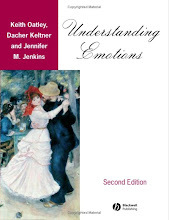 The newer facet of Holland's work is from brain research, first of all from analyses by Jaak Panksepp (1998) of sub-cortical brain systems that relate us to our evolutionary origins, and that continue to provide the bases for current human experience of emotion. 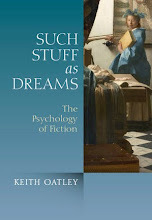 The system that Holland takes to be central for our understanding the psychology of literature is Panksepp's Seeking system, which is responsible (says Panksepp) for intense interest, for engaged curiosity, and for eager anticipation; that is to say for the kinds of experience we hope to find in a novel or at the movies. And, says Holland, when we are reading or at the movies, we turn on and turn off parts of the brain in different ways than usual. We turn on the Seeking system, and allow our curiosity to become fully engaged. We turn off the motor system, so that we don't try to affect what is going on in a story. We allow the wider associations of meanings that are available in the right hemisphere, which can become bases for effects of literariness. I see one overarching principle. When we are experiencing literature, we turn brain systems on and off in ways that we do not in ordinary life. In real life, we do not separate the “what” from the “where,” we do not stop testing reality, we do not inhibit planning for action, and we do not give free rein to our wish-fulfilling fantasies, except when we are daydreaming. With literature, we take pleasure in something that gives us only imaginary gratifications. In short, when reading and creating literature, we use our brains very differently than when we are simply taking a walk, shopping at the mall, meeting lovers, or any of our daily activities directed to survival and reproduction (p. 322). Holland's is a bold hypothesis. It's very boldness is a bit shocking to me, as I haven't fully understood how the brain would allow its parts to be turned on and off like this. An alternative hypotheses (with which I work) is that reading fiction does not depend on brains being re-organized in such a radical way between every-day life and reading, but rather that fiction derives from, and is an extension of, the universal activity of play. Also important, I think, is simulation as the principal cognitive activity of engaging in literature. It is based on the every-day and central activity of making mental models of how the world works, and on empathy. I can't, at the moment, see how to test, critically, the implications of these different approaches. It is possible the difference is a matter of emphasis so that, for instance, we might see empathy in terms of a switch from brain systems involved with one's own concerns, to those of another person. 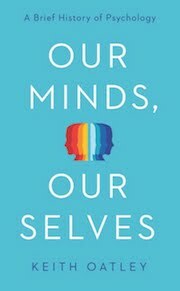 Holland's book is lovely, thoughtful, and informative, on issues that we discuss in OnFiction. His hypothesis about different parts of the brain being turned on and off has certainly made me think. Could it be, perhaps, that our entry into literacy tunes the brain in new and different ways? This would be a new and exciting departure in the question of how literacy affects mental abilities. Fully engaged with and thinking through works of literature and the arts, we uncover our own individuality. We open ourselves to the largest truth of who we are, who we have been, and who finally we will be. 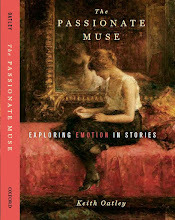 In the last analysis, understanding a literary work means understanding our own humanity (p. 359). Norman N. Holland (1975). Five readers reading. New Haven: Yale University Press. Norman N. Holland (2009). Literature and the brain. Gainesville, FL: PsyArt Foundation. (available online or by mail by clicking here). Jaak Panksepp (1998). Affective neuroscience: The foundations of human and animal emotions. Oxford: Oxford University Press.